Serotonin is the “feel-good” brain chemical. Too little of this vital neurotransmitter will have you suffering from depression, but newer research shows it also influences whether or not you develop dementia. Brain neurotransmitters are the chemical messengers that act as communication agents between different brain cells. In chronic depression, these brain chemicals get out of balance. Fortunately, there are some safe and effective natural health options available to balance brain chemicals. Researchers have identified 3 notable causes of panic attacks and other signs of anxiety in women: serotonin deficiency, low vitamin B6 levels and low iron levels. But, using these natural healing steps can give you relief! It’s an important question in trying to understand the chemicals that help define us: “What does serotonin do?” Serotonin is a neurotransmitter—a brain chemical that helps to activate communication between brain cells. Neurotransmitters work by binding to receptors (molecules of protein that receive external signals) on the surface of cells. 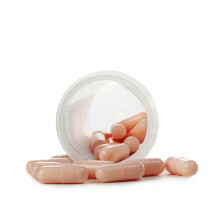 Many people can lessen or even eliminate depression symptoms without taking prescription drugs. From serotonin supplements to lifestyle changes, natural serotonin boosters may be just what you need to feel better fast.